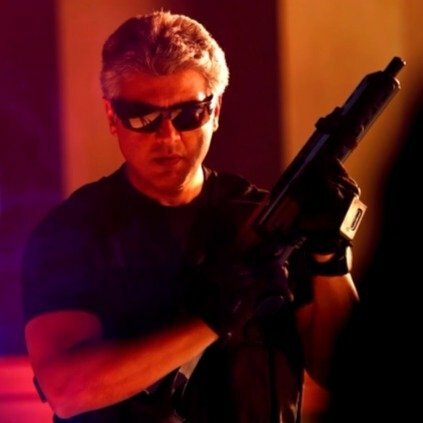 Ajith's Vivegam is one of the most anticipated films of this year, which is directed by Siva and has music by Anirudh. The film also stars Vivek Oberoi, Kajal Aggarwal, and Karunakaran in pivotal roles. A few minutes ago, Karunakaran took to Twitter to share an exciting information about his character in the Ajith starrer. He tweeted, "My Character name is Aps in #Vivegam." His combination scenes with Ajith are said to have come out very well, and we would have to wait for few more days to witness the film in the silver screen. People looking for online information on Ajith, Karunakaran, Vivegam will find this news story useful.